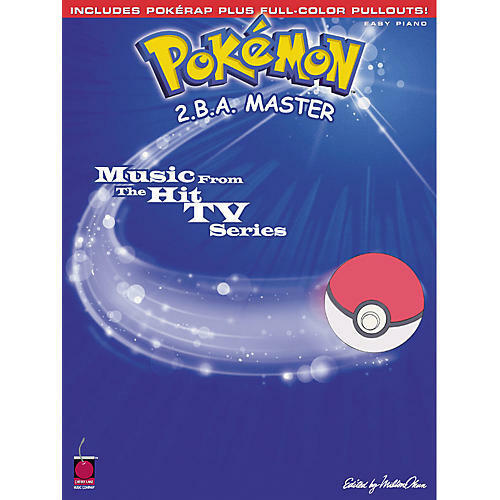 This great songbook features easy piano arrangements of 13 tunes from the hit TV series: 2.B.A. Master · Double Trouble (Team Rocket) · Everything Changes · Misty's Song · My Best Friends · Pokmon (Dance Mix) · Pokmon Theme · PokRAP · The Time Has Come (Pikachu's Goodbye) · Together, Forever · Viridian City · What Kind of Pokmon Are You? · You Can Do It (If You Really Try). Includes a full-color, 8-page pull-out section featuring characters and scenes from this super hot show.